Founded in 1968, the Alliance Theatre has become the lead producing theatre in the Southeast, creating the powerful experience of shared theatre for diverse people on two stages. The Alliance values excellence, pursued with integrity and creativity, and achieved through collaboration. Under the leadership of Susan V. Booth, Jennings Hertz Artistic Director, the Alliance received the Regional Theatre Tony Award® in recognition of sustained excellence in programming, education and community engagement. Reaching more than 200,000 patrons annually, the Alliance delivers powerful programming that challenges adult and youth audiences to think critically and care deeply. Each year, the Alliance Theatre Acting Program and Education Department reaches 50,000 students through performances, acting classes, drama camps, and in-school initiatives with programs like the Collision Project for teens and the Theatre for the Very Young for audiences 18 months – 5 years old. 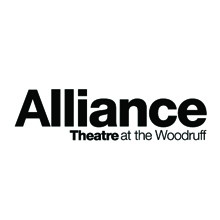 The Alliance also nurtures the careers of playwrights through the Alliance National Graduate Playwriting Competition, producing a premiere for the competition winner as part of the regular season with national networking opportunities for four finalists. 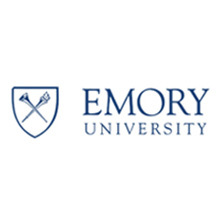 Emory University, recognized internationally for its outstanding liberal arts colleges, graduate and professional schools as well as one of the Southeast's leading health care systems, is located on a beautiful, leafy campus in Atlanta, Georgia's historic Druid Hills suburb. Emory maintains an uncommon balance for an institution of its standing: our scholars and experts generate more than $500 million in research fundingannually, while also maintaining a traditional emphasis on teaching. The university is enriched by the legacy and energy of Atlanta, and by collaboration among its schools, centers and partners. The American Repertory Theater (A.R.T.) at Harvard University is dedicated to expanding the boundaries of theater. Winner of the 2012 Tony Award for Best Musical Revival for its production of The Gershwins’ Porgy and Bess, the A.R.T. is a leading force in the American theater, producing groundbreaking work in Cambridge and beyond. The A.R.T. was founded in 1980 by Robert Brustein, who served as Artistic Director until 2002, when he was succeeded by Robert Woodruff. In 2008, Diane Paulus became the A.R.T. 's Artistic Director. The A.R.T. is the recipient of numerous other awards including the Tony Award for Outstanding Regional Theater, the Pulitzer Prize, and many Elliot Norton and I.R.N.E. Awards. Its recent premiere production of Death and The Powers: The Robots’ Opera was a 2012 Pulitzer Prize finalist. During its 32-year history, the A.R.T. has welcomed many major American and international theater artists, presenting a diverse repertoire that includes premieres of American plays, bold reinterpretations of classical texts and provocative new music theater productions. The A.R.T. has performed throughout the U.S. and worldwide in 21 cities in 16 countries on four continents. The A.R.T. is also a training ground for young artists. The Theater’s artistic staff teaches undergraduate classes in acting, directing, dramatic literature, dramaturgy, voice, and design at Harvard University. In 1987, the A.R.T. founded the Institute for Advanced Theater Training at Harvard University. A two-year, five-semester M.F.A. graduate program that operates in conjunction with the Moscow Art Theater School, the Institute provides world-class professional training in acting, dramaturgy and voice. Harvard University is devoted to excellence in teaching, learning, and research, and to developing leaders in many disciplines who make a difference globally. Harvard faculty are engaged with teaching and research to push the boundaries of human knowledge. For students who are excited to investigate the biggest issues of the 21st century, Harvard offers an unparalleled student experience and a generous financial aid program, with over $160 million awarded to more than 60% of our undergraduate students. The University has twelve degree-granting Schools in addition to the Radcliffe Institute for Advanced Study, offering a truly global education. Established in 1636, Harvard is the oldest institution of higher education in the United States. The University, which is based in Cambridge and Boston, Massachusetts, has an enrollment of over 20,000 degree candidates, including undergraduate, graduate, and professional students. Harvard has more than 360,000 alumni around the world. 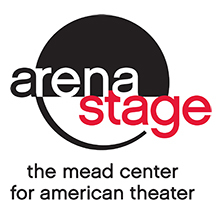 Arena Stage at the Mead Center for American Theater is a national center dedicated to the production, presentation, development and study of American theater. Under the leadership of Artistic Director Molly Smith and Executive Director Edgar Dobie, Arena Stage is the largest company in the country dedicated to American plays and playwrights. Arena Stage produces huge plays of all that is passionate, exuberant, profound, deep and dangerous in the American spirit, and presents diverse and ground-breaking work from some of the best artists around the country. Arena Stage is committed to commissioning and developing new plays through the American Voices New Play Institute. Now in its seventh decade, Arena Stage serves a diverse annual audience of more than 300,000. 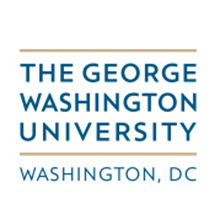 In the heart of the nation's capital with additional programs in Virginia, the George Washington University was created by an Act of Congress in 1821. Today, GW is the largest institution of higher education in the District of Columbia. The university offers comprehensive programs of undergraduate and graduate liberal arts study, as well as degree programs in medicine, public health, law, engineering, education, business and international affairs. Each year, GW enrolls a diverse population of undergraduate, graduate and professional students from all 50 states, the District of Columbia and more than 130 countries. 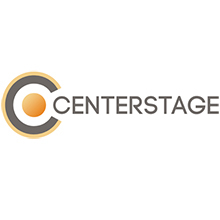 CENTERSTAGE, the State Theater of Maryland, celebrates its 50th Anniversary Season in 2012-13. The professional, nonprofit company serves as a local hub and national leader for provocative, entertaining theater and as a catalyst for conversation in the community. Each year, a broad range of productions in two intimate performance spaces attracts a highly diverse audience of more than 100,000 people—including more than 8,000 fiercely loyal members. Under the leadership of acclaimed playwright, actor, and director Kwame Kwei-Armah (Artistic Director) and national arts leader Stephen Richard (Managing Director), CENTERSTAGE enters its 50th year with a renewed dedication to the production of world-class theater in the heart of Baltimore. 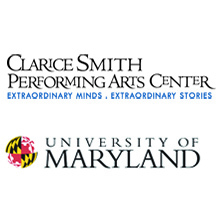 The Clarice Smith Performing Arts Center at the University of Maryland is a collaborative space shared by the School of Music (SOM), the School of Theatre, Dance, and Performance Studies (TDPS) and the Michelle Smith Performing Arts Library. The Clarice Smith Center presents performances and programs by visiting artists as well as by students and faculty of SOM and TDPS in an environment of learning, exploration and growth. A national model for a performing arts center on a major research university campus, the Center enables innovative partnerships and extraordinary experiences. The Clarice Smith Performing Arts Center is supported by a grant from the Maryland State Arts Council, an agency dedicated to cultivating a vibrant cultural community where the arts thrive. An agency of the Department of Business & Economic Development, the MSAC provides financial support and technical assistance to nonprofit organizations, units of government, colleges and universities for arts activities. 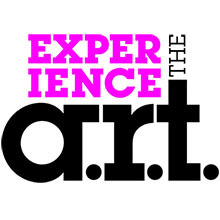 Funding for the Maryland State Arts Council is also provided by the National Endowment for the Arts, a federal agency.